For the past one week, the corner of the left eye is red in color for my 8-month-old baby. We went to the pediatrician and he suggested Ciplox to be applied for 5 days – 5 drops a day. We have applied it for two days. It’s slightly reduced, but not much. What could this be? Should we consult a Opthalmologist or should we wait for five complete days to see whether it goes off? Any suggestions would be greatly helpful. Your baby should be fine, just keep applying her medicine. Her tear duct in her left eye probably got a little infected. It can be caused by a cold or any kind of debris that gets into the eye. Be sure to try to keep her hands clean whenever you can and, if possible, watch that she does not touch her eyes, so that she does not spread the bacteria into the one that is not affected. 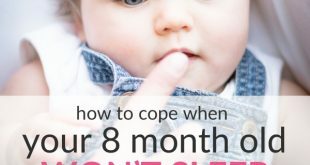 Baby Crying Without Tears – Normal? which eye drop the opthalmologist suggested to you. Was that the same one u were using? We have changed to a new commenting system. Share your comments below or return to Sick Baby Q&A.